This ceramic Cabbage Salad Bowl will look fabulous on your summer table filled with delicious salad fruits and vegetables. 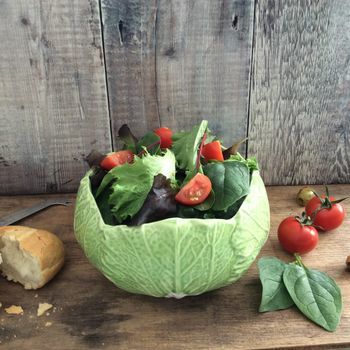 Lovely leaf design and fresh colour of this salad bowl will bring a touch of fun to your mealtime. 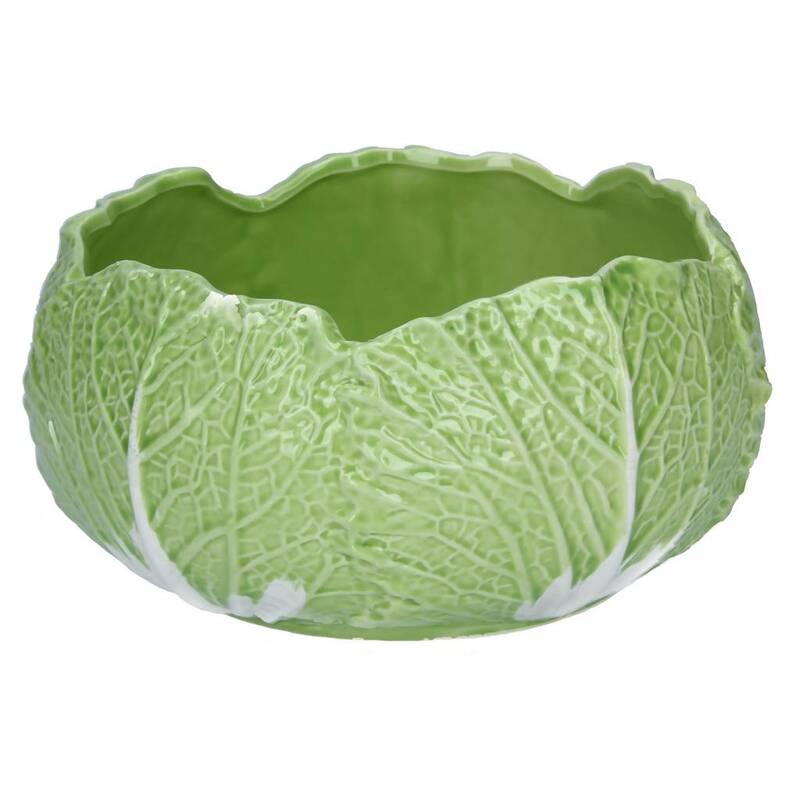 Great salad bowl for indoor and outdoor dining.